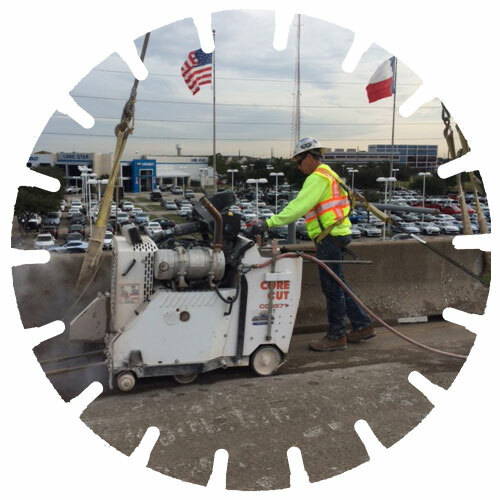 Marek Sawing and Drilling offers “cutting edge” technology to the specialized demolition industry. Our staff provides expertise across the multitude of services we offer, and is here to provide safety, efficiency, and constructability recommendations for any job. Below is a list of our standard services. If you don't see it here, give us a call to discuss the details of how we can help. Our slab saws can cut up to 36 inches in depth. Holes can be drilled almost any size ranging from 3/8" to in excess of 60" in diameter and virtually any depth. Wall sawing can be used to cut precise dimensional doors, vents and window openings. Used to cut concrete columns, piers, foundations or beams that don't allow for another concrete sawing technique to be used. No concrete is too thick for our demolition crews. We'll break and remove the concrete and dirt on your job site. Interior demolition, especially in tight spaces, is easy with the Brokk, a robotic, electric powered demolition hammer. A variety of demolition methods of concrete and steel removal depending on the need location of the project. Large areas of concrete can be poured for a number of purposes included industrial, warehouses and commercial. A reliable, non-destructive means to locate targets within concrete structures prior to drilling, cutting or coring. Our site work / excavating department has a full line of equipment capable of tackling a variety of excavation projects.